This week we learned that several blue footed boobies were sighted along the California coast, a rare, but not unprecedented occurrence. 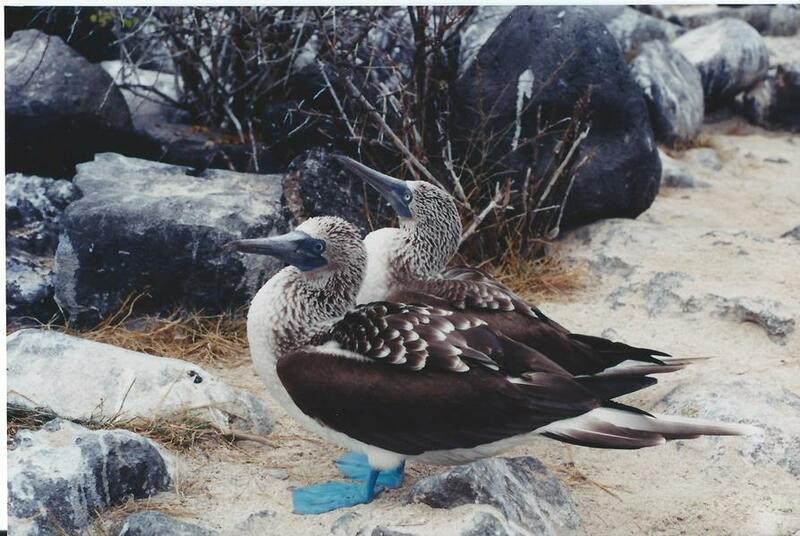 The news reports flooding in reminded me of my own experience with blue footed boobies in the Galapagos, so I decided to dig out my old photo album (yes, this predates the age of digital cameras) and pull out the booby photographs. Here, for your Friday enjoyment, are a bunch of pictures of Blue Footed Boobies. Photo by Andrew David Thaler. Neil Aschliman is an Assistant Professor of Biology at St. Ambrose University by day, a freelance artist by night. 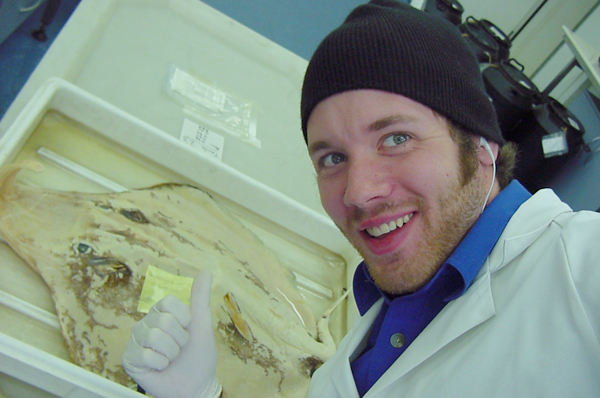 He earned his PhD in Biology from FSU by recovering the “Tree of Life” for rays, skates and their relatives, and is broadly trained in vertebrate biology and evolution. His personal website can be found at www.iceandshadows.com. So mantas aren’t a thing anymore… – paraphrase, David Shiffman’s liveblog of my talk at the recent meeting of the American Elasmobranch Society. Wow, is that going to require some explanation! Did I steal these guys away under cover of night? Did they pull a “so long, and thanks for all the fish” on us? No, this is a story about the power of naming, and one that may have serious implications for the conservation of these amazing animals and their close relatives. Human beings love to name things. We do it vigorously and redundantly: a single fish species may be christened with a dozen or more common names by people in different geographic areas, times, or even marketing departments! It helps to have an international-standard system of naming animals to give this enterprise some consistency. It doesn’t matter if you know it as Chilean Sea Bass or the Patagonian Toothfish, people worldwide will be happy to confirm for you that Dissostichus eleginoides is indeed one ugly customer. This system of precise identification in which scientists apply a formal code to name organisms is called binominal nomenclature (“two-part name”). This is often incorrectly called “binomial” nomenclature (“two number,” a mathematical expression), even by professionals! The first part of the name is the genus, which can apply to between one and many species that are closely related and resemble each other. The second part of the name is the specific epithet, which applies to one and only one species. These names are usually derived from Greek and Latin. For example, Batrachognathus volans translates as “flying frog-jawed” one, an apt appellation for an odd pterosaur from the Late Jurassic.